Local development, McKinley Beach will join the Okanagan wine industry in the very near future. 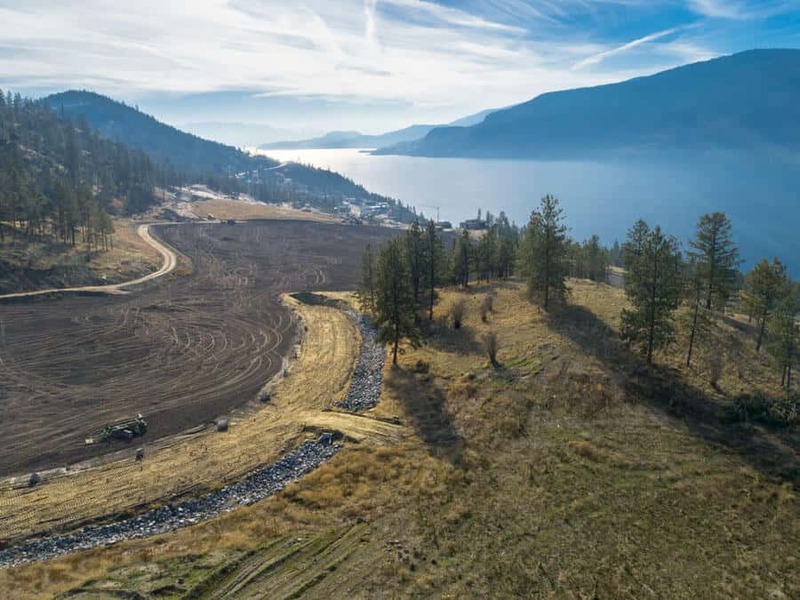 The development team behind McKinley Beach, which includes G Group Land Development and North American Development Group, recently confirmed the sale of 42 acres of the McKinley Beach development land to a local Okanagan family and vintner. While the new winery official name is being finalized, phase 1 of the build has already begun with site services, utilities, and soil prep already underway. In Spring 2019, 12 acres of vineyard will be planted featuring pinot noir, riesling, and merlot grapes. Future plans for the new winery and vineyard include a restaurant and tasting room. The new owner is planning to construct best in class facility, a “place of gathering, gratitude, celebrating nature” designed to be a “calm sanctuary” set within the surrounding forest with the endless lake views that McKinley Beach has become known for. In addition to the winery, the McKinley Beach development team will be releasing Vineyard Lots, also in Spring of 2019. These exclusive lots will feature views of the vineyard and lake, and will be unlike anything previously offered at McKinley Beach so far. These will compliment the remaining lots available on the Hillside, and be released alongside plans for future townhomes and single family homes in the new Hilltown community. With the 2018 expansion of the private marina now complete along with phase 1 of the Beachhouse, the community will look forward to seeing both a lakefront coffee shop and wine bar launching in summer 2019.